Every part of an air compressor is important. The smallest piece of material works in conjunction with the other parts. As such, if one part breaks down, there is a huge possibility that the entire machine will also be damaged. 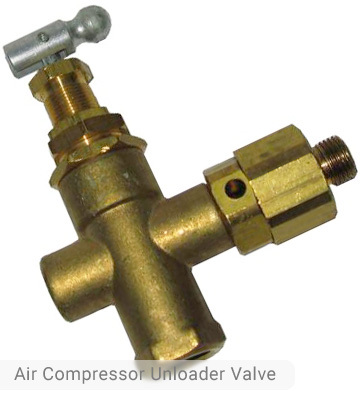 One important part of an air compressor is the air compressor unloader valve. It might not be considered as a major part but it definitely plays an important role in the different functionalities of an air compressor. What is an unloader valve? The air compressor unloader valve is part of the reciprocating piston compressor. It is small in appearance and has a very light weight. As the name implies, it unloads or blows off the pressure inside the discharge pipe once the compressor stops. If you haven’t noticed, when you turn off the air compressor, there is usually a hissing sound that you will hear. That sound is caused by the unloader valve. Because of this part, your reciprocating piston compressor will have start-up smoothly. The unloader valve is important because it ensures that the pipe which connects the output of the piston compressor and the air receiver is empty. When the compressor stops, the pressure in the pipe is reduced to 0 bar or atmosphere. The check valve makes sure that the pipe is empty but not the whole air receiver. 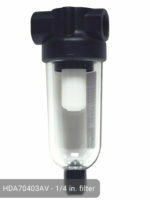 When the pressure reaches the maximum tank capacity, the valve will open to release air. 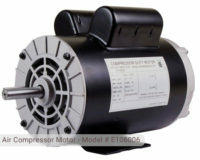 Because the pipe has no more pressure, the motor will find it easier to turn on the compressor again. Imagine if the pipe still has pressure, then the motor might not be strong enough to power the air compressor. As mentioned, a check valve is also installed to prevent the whole tank from draining. This valve usually has a connecting small tube or pipe which runs to the unloader valve on the pressure switch. It is usually found on the connection between the discharge pipe and the receiving tank. The pressure switch of your air compressor can either have an internal or external unloader valve. Regardless of the location, when the air pressure in the storage tank reaches the cut-out pressure, the pressure switch turns off, which also stops the air compressor. If you open your pressure switch, you will find a set of points which open and close depending on the pressure in the tank. 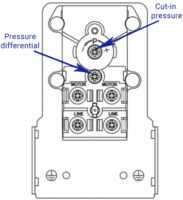 Inside or outside of the pressure switch, there is an arm or finger which is connected to the movement of the points. This arm or finger is further connected to the small valve pin which controls the air compressor unloader valve. When the compressor stops or reaches its cut-out pressure, the pin on the valve is depressed, causing the air path to open. This releases any amount of air that is trapped over the piston. On the other hand, when the pressure drops to the cut-in pressure level, the arm or finger will release the pin causing the unloader valve to shut. This prevents the air from escaping to the atmosphere. This cycle continues depending on the level of pressure that the storage tank has. When the unloader valve stops working, the pressure will not be controlled causing the air compressor to stop working or to continuously run putting it at risk of overheating. Upon noticing that your unloader valve or pressure switch is not working, find a replacement or have it checked immediately. Sometimes, the air evacuating from the unloader valve would not stop. This is evidenced by the continuous hissing sound that you will hear. When this happens, this means that the valve probably has a leak. Because the unloader valve is installed in an air line, all of the air could escape out of the unloader valve too because of the leak. To prevent leaks, your check valve must be working. This valve is designed to keep air from escaping out of the tank when the unloader valve is open. If there is a leak, there is a high probability that the check valve is not working also. The compressed air in the tank escapes out of the tank, goes to the unloader valve, and out to the atmosphere. The air will continue to vent out until the tank reaches its cut-in pressure. The air compressor will then start to run and pump up the pressure in the tank. This cycle will continue until the parts of the pressure switch have been replaced. Where to buy the right unloader valve? Unloader valves and other Husky replacement parts are very much available in your local home stores. They are quite universal so you do not need to worry about its scarcity. However, there are certain things that you need to consider. First, the unloader valve should fit the other parts. It must have the same physical connection both for the pressure switch connection and the compressed air input. 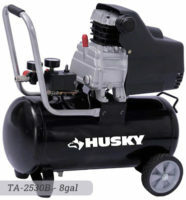 Also, the size should be compatible with the model of air compressor that you have. This is very important because the wrong size would definitely damage your air compressor. 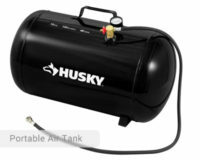 Make sure that you read the manual of your air compressor or you can also contact the customer support of Husky for more information.